The Marseillaise | Felix Graf von Luckner Gesellschaft e.V. Well, the Marseillaise has nothing to do with “our” Felix Count von Luckner. Rather, it is about his great-great-grandfather, Nikolaus Graf von Luckner, who was born in 1722 in Cham in the Upper Palatinate. He joined the military service and initially served in German troops. At the end of the Seven Years’ War, his regiment was dissolved, so he looked for new spheres of activity. Due to his good reputation, he had received offers from Russia and France. Von Luckner chose France and lived for a long time on his estates in the Holstein. In 1778 Nicholas was appointed by the Danish king in the baron; In 1784 he even elevated him to a hereditary count, which is the reason why Felix was later allowed to call himself Count von Luckner. In 1789 the French revolution broke out, in whose service the Count soon after came. He was appointed Marshal of France and shortly thereafter appointed Chief of the Rhine Army. During this time, in which he was also Commander-in-Chief and Governor of Strasbourg, to Count von Luckner was composed in honor of Claude Joseph Rouget of the Lisle on April 26, 1792, the War Song for the Rhine Army, which is no less than the later French national anthem Marseillaise. Nikolaus Count von Luckner had no glorious end. 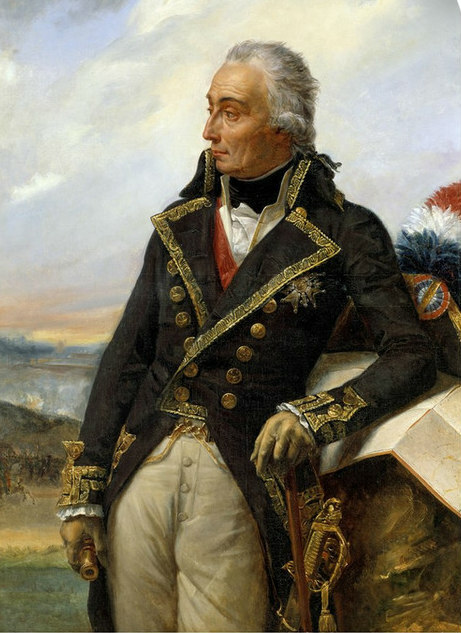 After his desired by himself dismissal from military service, he went to Paris in 1793 to enforce the actually granted him, but not paid pension claims. Due to an intrigue against him, he came before the Revolutionary Tribunal, was convicted and executed on January 4, 1794 by a hatchet. His rehabilitation was completed a year later. The Marshal’s Staff and the Certificate of Appointment are now in the Army Museum of Paris.